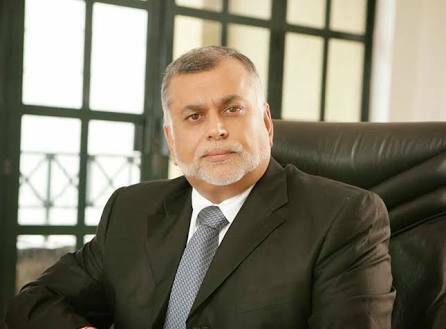 Sudhir’s full speech at the MUK School of Law at 50 celebration. Dr Sudhir Rupaleria gave a keynote speech at the MUK law school on Saturday. To give a key note address. Delighted because sharing experiences with the youth is as delighting as it is rejuvenating. Moreso future lawyers. Thank you for the invitation. This is too broad and rather complex a topic. Luckily what is requested of me is to speak to you as a businessman and that is who I am- a seasoned entrepreneur who is neither a Lawyer nor an academic. Being seasoned carries with it a tag of weathering storms and soldiering on a challenging journey and that I have done to the extent that I was deemed worthy of speaking to such an audience at a dinner. What you put at risk and I will be talking about risk business and law, is your appetite. I hope you will excuse me if my address takes your appetite with it. My address will be in two segments. The Opportunities that will be available for Lawyers in the future. But before that, a brief over view of my journey will assist in giving a proper perspective of my experiences and what I have to share with you. I was born in Katwe Kabanyolo, Kasese. I left Uganda in 1972 for the United Kingdom when Asians were expelled. In the United Kingdom, I pursued some studies and at the same time worked. A typical day was a combination of studying and working for up to 16 hours. I was a cab driver in London and had a part time job in the accounts department of a well-established mid-size enterprise. I returned to Uganda in 1985 on a scouting mission. In December, 1986 I started business-trading business on Kampala road with a capital of USD 25,000. Like Chairman Mao said a long journey starts with one step. From the one trading step in December 1986 to date the Ruparelia Group is comprised of 14 Companies in different sectors. -Real Estate with Meera Investments Ltd as the group’s flagship Company. -Hospitality under which Speke Resort Munyonyo, Kabira Country Club, Speke Apartments and others fall. -Education. In this sector we have Kampala International School offering an International Curriculum, Kampala Parents School offering the nation curriculum, Delhi Public International School and Victoria University. -Media-We have the oldest private FM broadcasting entity in Uganda, Radio Sanyu. -Rosebud Ltd- this is a floriculture Company currently exporting 400k roses daily to Europe. Until recently Crane Bank Ltd was one of the Group Companies. When all court matters are over I will be glad to return and share invaluable unwritten Crane Bank lessons – not what we see in the press. The group’s human personnel is 7,000 strong. That’s a snapshot of the Ruparelia Group. As you can imagine, the group deals with many suppliers, many clients, many regulators including Workers Unions, European authorities for the flower exports, etc. The wheels of business to a great extent run on the Law. Should the rule of law malfunction business will follow suit or put in other words the healthy check of businesses is as good as the rule of law prevailing at any one time. To do all this one needs good professionals, good dependable people and this includes good lawyers. The Relationship between business and the Law. When we talk of business, there is one key pillar of it that is inevitable. That is Capital. One thing we must constantly remember about capital is the now famed phrase; CAPITAL IS A COWARD. This phrase first came in print in October, 1884 in the Jersey Journal. As you know when threatened, a coward flees and so does capital under threat. It goes where it is safe and stays where it is protected. It flees when threatened and unprotected. The biggest protector of capital and therefore business is the Law. This sums up the relationship between business and the Law. This protector of capital called the Law is very crucial from the basic elements such as incorporation of a Company, the concept of limited liability to complex competition and anti-monopoly regulations, labour laws, complex project structures and contracts such as the recently signed agreement relating to the oil refinery in Uganda and now cyber Laws, privacy laws that have seen face book on the spot after the etc. What then, with this protector does a businessman or rather businessperson to be gender sensitive, takes risk with faith in the protector that is the Law? The protector above the law is the Almighty. Risk taking is an attribute of entrepreneurship. That said, risk must always be weighed against rewards and possibilities. What is undisputed is that every business has risk well embedded in it. The Law is the strongest insurance against many risks. That is why confidence in a functioning and reliable judicial system is key for business. The compliance and regulatory environment is important too. Business thrives when the rule of Law exists. As a businessman you always want that comfort that the law will protect you and you can run to Court or a Regulator should the need arise. and in that lies the strength business derives from the Law. A case in point. In 1994 Meera Investments Ltd, our group’s real estate company obtained a Certificate of Incentives from Uganda Investment Authority. To qualify for incentives there was a monetary investment threshold that one had to attain. On attaining that threshold Meera Investments Ltd applied and demonstrated that it had 5 properties whose value exceeded the threshold thus the grant of the Certificate of Incentives that gave an exemption from corporation tax, withholding tax and tax on dividends for 5 years. This enabled Meera Investments Ltd invest more. That indeed is the essence of incentives. To attract more capital and more investments. With more capital and more investments in a country the spin offs are numerous. In 1999, Uganda Revenue Authority slammed Meera Investments Ltd with a Shs. 36 billion tax assessment claiming that only 5 properties listed for purposes of demonstration of attainment of the threshold were exempt. Meera Investments Ltd on the other hand maintained that a threshold is a minimum qualifying mark and not the ceiling .Therefore all of its properties were exempt. Meera Investments Ltd run to Court and sued the Commissioner General, Uganda Revenue Authority as well as Uganda Investment Authority. The case moved from High Court to the Supreme Court on a technicality raised by the Commissioner General of Uganda Revenue Authority to the effect that it is only URA that could be sued. The Supreme Court ruled that the Commissioner General could be sued and referred the case back to High Court. In end the Certificate of Incentives was respected. The Supreme Court decision should be good reading for Law Students. For Meera Investments to have succeeded against a government agency illustrates the strength business derives from the Law. Perhaps Meera Investment would be no more had the law not offered that protection. With all challenges that institutions face, the Judiciary in Uganda is still a good place to resort to. I hope the future generation that you represent will make it even better and not worse. Beyond litigation, the Law, through regulatory tools ensures sanity in a very competitive business environment. Business rivalry can be chaotic. The law is at hand in containing what would otherwise be anarchy in business. The law ensures predictability and provides, appropriate checks and balances. As you can imagine, the group deals with many suppliers, many clients, many regulators including Workers Unions, European authorities for the flower exports, etc. The wheels of business to a great extent run on the Law. To do all this one needs good professionals, good people and this includes a good lawyers. I will not define who a good Lawyer is but professionalism, reputation, knowledge and agility are key attributes. A good lawyer must constantly be ahead of the curve in the profession. 2. The Opportunities that will be available for lawyers in the future. In the Journey I started in Uganda in December 1986, I have seen opportunities in all sectors and professions; the legal profession included. For opportunities in the future you must be constantly aware of the changes in this digital world. They are more rapid than most of us imagine and that is where your opportunities lie. Innovation is now the center stage of everything and you young lawyers must be innovative. Major opportunities lie beyond the traditional litigator, the traditional Registrar of Companies, the traditional Judicial Officer. This is a narrow way of looking at the future. Lawyers have an edge in building careers in tech firms, insurance banking, and the internet of things. To prepare yourselves for the future, business literacy, financial literacy, and communication skills will give you a premium. You have to start challenging yourselves and challenging your curriculum. Are you getting any training in these aspects? You need to equip yourselves to be visible in the increasingly challenging world. You must be resilient. Emotional intelligence i.e. ability to control one’s feelings, get out of the human weakness of looking at others from your perspective, step outside and look.be able to anticipate. Have a vision. Authenticity- i.e. be true to the values and goals you stand for. Drive the identity that you are even when the going is tough. Agility- i.e the ability to think through situations quickly, transform challenges into opportunities. Each time we hear of Artificial Intelligence, crypto currencies e.t.c. we tend to imagine they are too remote or rather that we are too remote. This is a big mistake. These times are with us. We must understand them. The opportunities available for lawyers in the future are enormous but they demand a shift from old school in all ways. Business automation with the modern computing power is already providing accurate answers to legal questions. Are you preparing yourself? Are you adaptable to new thinking, new tools, and new technology? That in my view is the outline of the opportunities for lawyers in the future. As I conclude I will leave you with an article that I read in one of the Harvard Business Review Magazines- It is titled; The case for Plain-Language Contracts. It is an amazing shift from the legalese of WHERETOFORE, NOTWITHSTANDING, HERETOFORE to plain language. A shift from unnecessarily long contracts. It illustrates the need, even from a language perspective, for a change in how Lawyers go about their business. The change is not only in technology and business environment. I have a few copies of the Article for you. I hope the organizers will make it available for each of you. I wish each of you a bright and successful future. I will end by reminding you that there is no dignity in poverty. The key is in hard and Up-To Date work skill tool yourself to avoid poverty but avoid poverty in dignity.